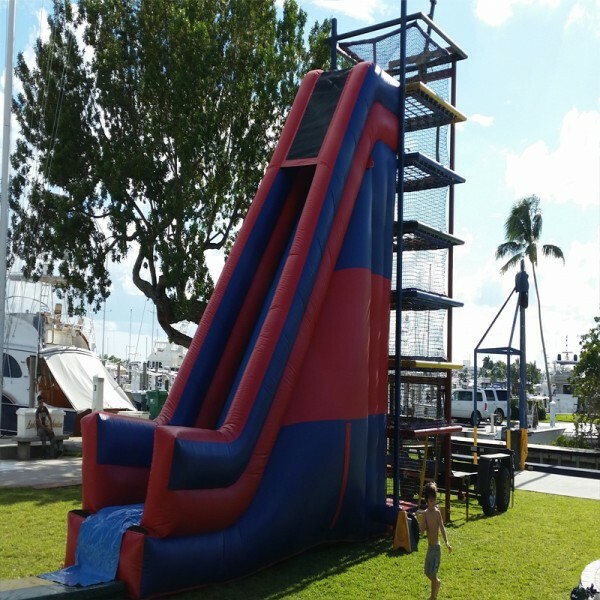 Experience the thrill and workout of having to climb up a 24'Ft High spider web and then slide down its jaw droppig narrow verticle drop slide! 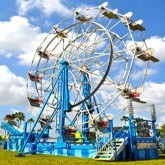 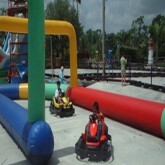 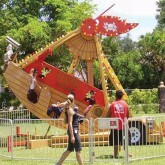 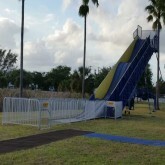 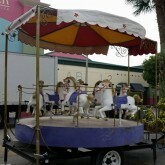 You are looking at Miami's hottest Carnival Ride Rental... The Spider Mountain with Slide! 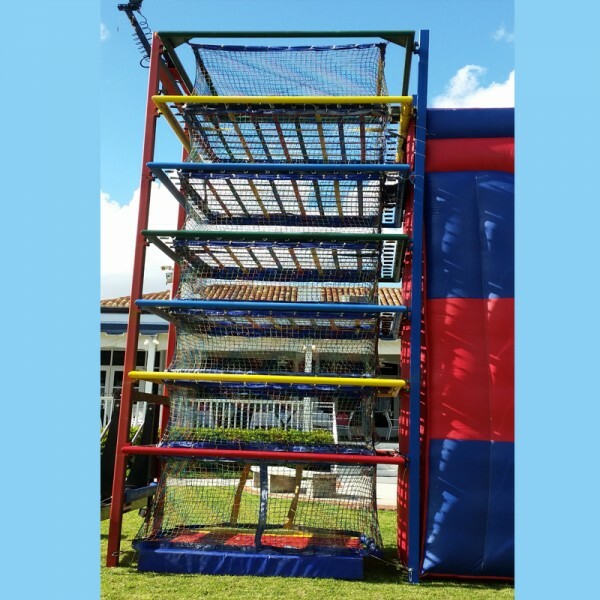 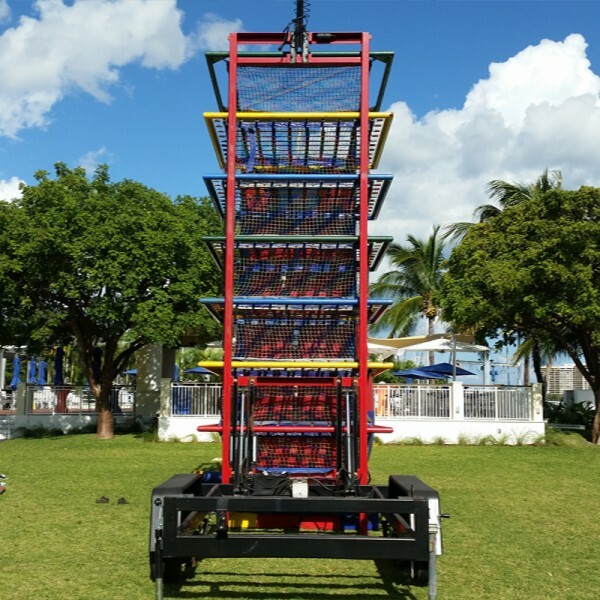 First you'll have to climb up the 24'Ft spider web which is no easy task and will provide a great workout and lots of fun! 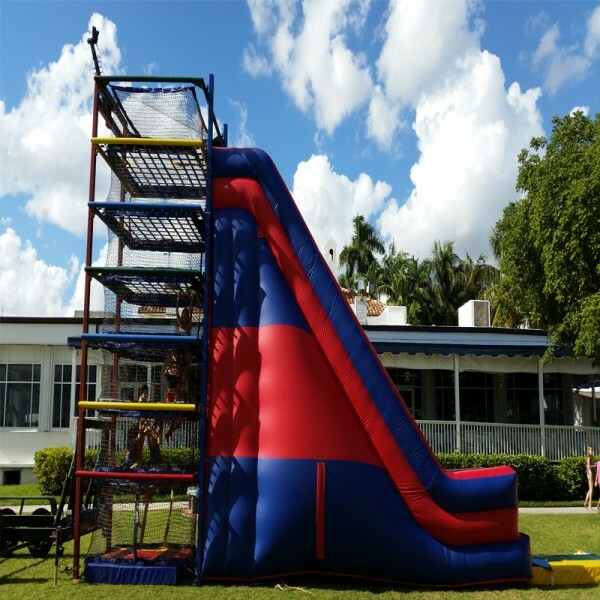 Once you make it up the Mountain you'll be thrilled to see a birds eye view of your whole event and surrounding areas before you slide down from up in the clouds and back to Earth! 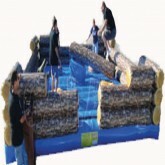 The Spider Mountain is a very exciting way for kids as well as adults to challenge themselves by finding their way up and through the spider web maze. 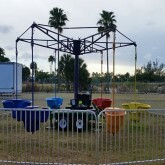 It truly is a great attraction for everyone. 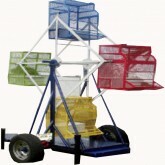 Voted best new product Concept 4 years straight! 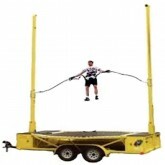 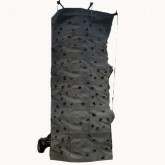 24'Ft High Spider Web is lots of fun and will provide a great workout! 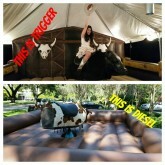 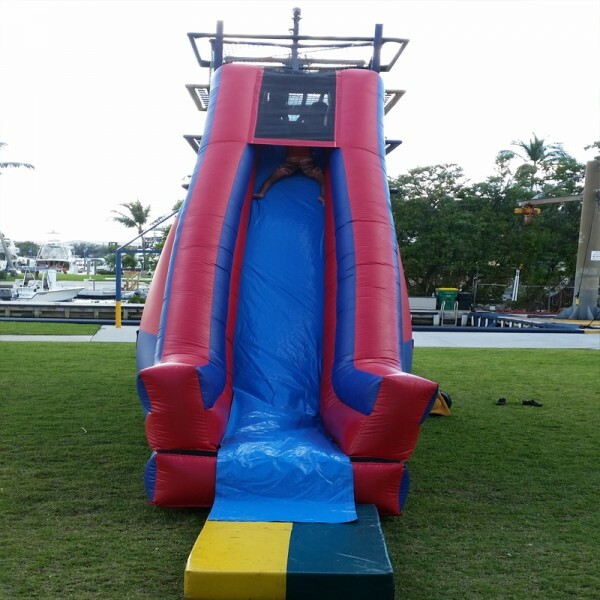 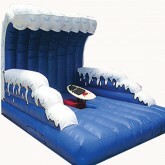 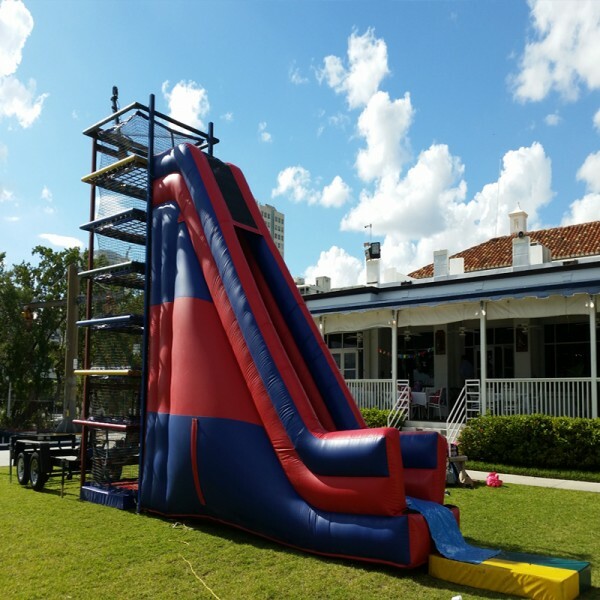 24'Ft High Inflatable Slide will give you and adrenaline rush! 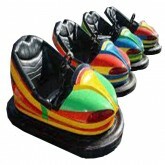 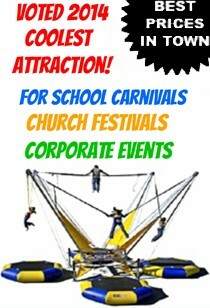 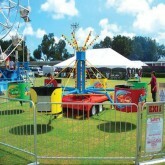 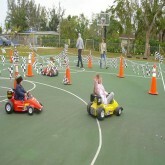 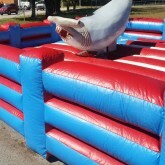 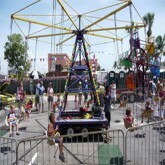 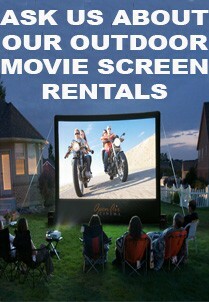 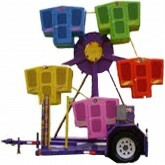 Great for school carnivals, church festivals, and corporate events! 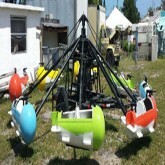 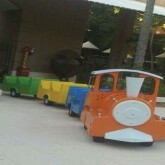 Up to 25 people can ride at one time! 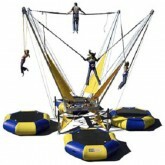 8'x12' in Diameter x 24'Ft High is the Spider Mountain Apparatus! 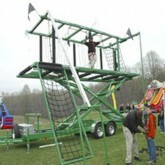 Oldest person to climb to the top of the Spider Mountain was a very in shape 75yr old man! You will need to provide 1 outlet to inflate the 24'Ft High Slide that will be attached to the Spider Mountain.